Dr. Irum Zaheer wants to help her patients achieve optimal health by providing a patient-centered approach involving quality care, good communication and coordination of care with specialists, if needed. Her areas of clinical expertise include prevention and wellness, health screenings and diagnosis and management of acute and chronic illnesses. 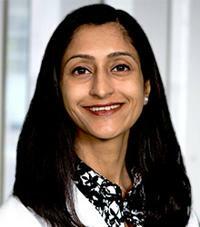 Dr. Zaheer is board-certified as an internist by the American Board of Internal Medicine.